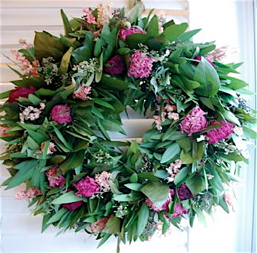 Circle Home and Design is a floral design company specializing in handcrafted natural wreaths and arrangements, serving the Greater Toronto Area. Working with nature's palette, we blend lavender, hydrangea and a wide variety of colourful botanicals to create a range of items that will enhance any living space. With our focus on unique design, quality materials and excellent customer service, we are personally involved in every project from consultation to delivery to ensure beautiful results. 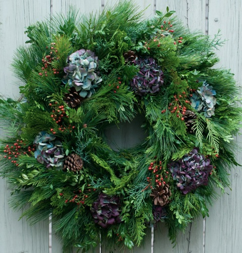 We're thrilled that our wreaths have become an annual tradition for our many loyal customers for over a decade! 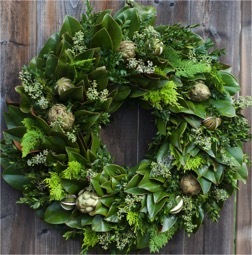 Working closely with realtors and corporate clients, we provide custom designs to reflect the style or image of the recipient, delivering a much appreciated gift with a personal touch.